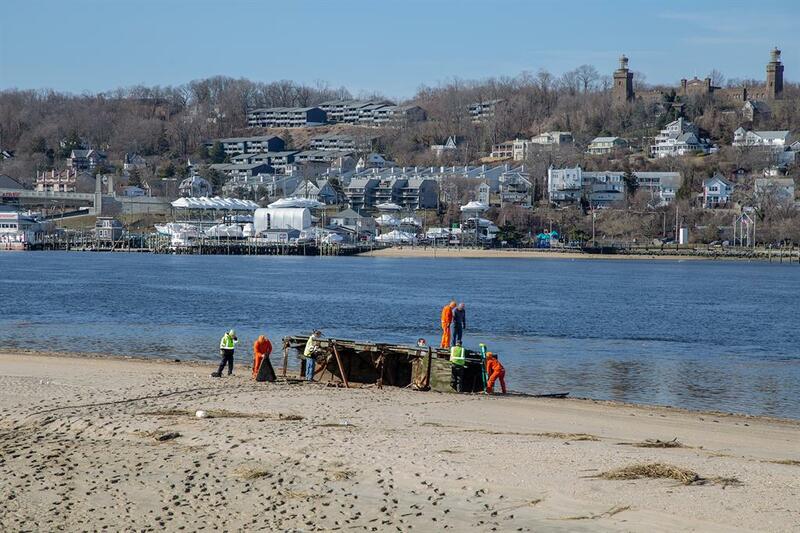 SANDY HOOK, NJ – The Clean Communities Program of the Monmouth County Reclamation Center recently helped coordinate Clean Shores, a statewide program of the New Jersey Department of Environmental Protection (NJDEP). Clean Shores removes floatables such as wood, garbage, medical waste and recyclables from tidal shorelines with the use of State inmate labor. This year, exactly 77.77 tons of debris, including two docks and 820 pounds of tires, were collected during the two and a half weeks of work in Monmouth County. 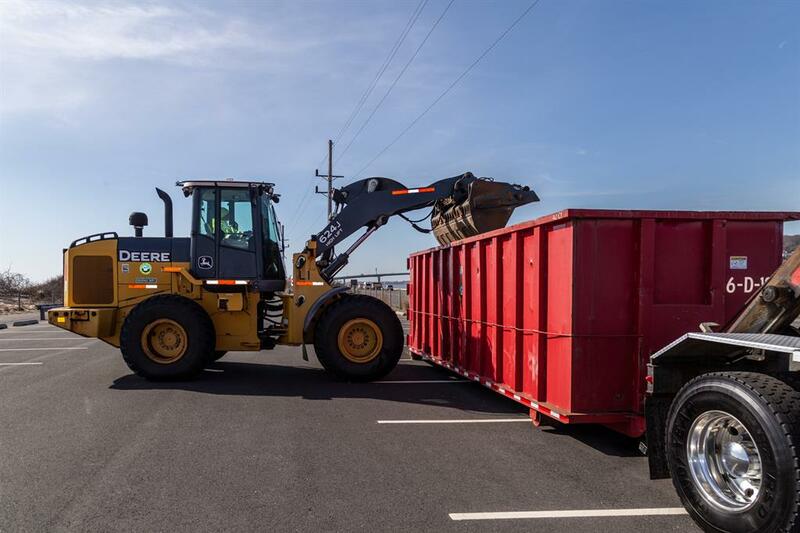 Monmouth County Department of Public Works and Engineering’s Division of Highway supplied roll off containers for the disposal of removed debris and two front end loaders with operators for transporting bulky waste. A Clean Shores work crew includes 10 inmates, a State correctional officer, a site manager and a woodcutter provided by the NJDEP. The inmates involved have received special selection for outside work by the New Jersey Department of Corrections and have full minimum status. Since its beginning in 1989, Clean Shores has removed over 148 million pounds of floatables and cleaned and re-cleaned over 3,100 miles of New Jersey’s shorelines. The sale of Shore Protection ‘Shore to Please’ motor vehicle license plates completely funds Clean Shores. For more information about the Clean Communities Program in Monmouth County, go to www.VisitMonmouth.com or call 732-683-8686 ext. 7539. Photo caption: NJDOC inmates use the woodcutter provided by NJDEP to disassemble a large floatable recovered from the Sandy Hook Bay. Photo caption: A County heavy equipment operator uses a front end loader to dump debris into a roll off container, both provided by the Division of Highway.